Come one, come all to the Monterey County Annual Fair happening throughout the Labor Day Weekend! This is much more than your typical hometown hootenanny; in addition to awesome carnival rides from Michael Jackson’s estate and crowd pleasing musical entertainment the fair will be going for a world record! On Thursday the fair will vie for the world’s largest strawberry shortcake, which fits in perfectly with the theme “Very Berry Extraordinary.” For a full schedule of events and musical acts click here. Wednesday-Monday, 2004 Fairgrounds Road, Monterey. Adult tickets are $7 in advance and $9 at the gate. Be the Outdoor Forest Theatre’s guest for an enchanted performance of Beauty and the Beast. The Broadway screenplay version of this beloved Disney film will be playing all weekend long. Friday and Saturday at 7:30pm and Sunday at 2pm. Santa Rita and Mountain View Street, Carmel-by-the-Sea. $7-$35. Be a Greek this weekend at the Custom House Plaza in downtown Monterey! The Monterey Bay Greek Festival packs in everything you could possibly want including traditional Greek dancing, music, food and plenty of baklava. Ompa! Saturday and Sunday from 11am-7pm and Monday from 11am-4pm, 4 Custom House Plaza, Monterey. Free event. Enjoy a Concert in Carmel this evening from Lisa Taylor. She performs soul and R&B tonight alongside fabulous food and wine tastings from Scheid Vineyards and Bistro Beaujolais. 5pm-7pm, Ocean Avenue and Mission Street, Carmel-by-the-Sea. Food and drink package is $15. Folksy singer-songwriter Levi Strom is at Pierce Ranch Vineyards tonight. Head on over for a glass of Pinot and original country/folk music. 8:30pm-10:30pm, 499 Wave Street, Monterey. $5 for those 21 and over. The city of Marina celebrates this 3-day weekend with a special Labor Day Parade and Festival. The parade will march around downtown Marina with entries from marching bands, dancers, military color guard and classic cars. Spectators are invited to stay after the main event for music, food and lots of fun at the Marina Village Shopping Center. 11am-2pm, Reservation and Crescent Avenue, Marina. Free event. Are you a tomato fanatic? Bernardus Lodge in Carmel Valley holds a lunch in honor of these delicious fruits during a Heirloom Tomato Lunch. Guests will dine on eight different varieties of these ruby jewels provided by local and organic producer Swank Farms. Chef Cal Stamenov prepares a beauty of a meal with items ranging from gazpacho to tomato ratatouille. 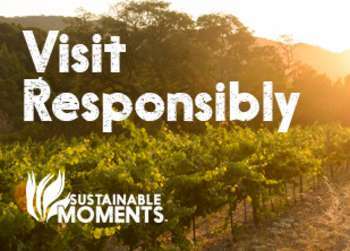 11am-2pm, 415 W. Carmel Valley Road, Carmel Valley. $95. Time is running out! It’s close to the end for the popular Evenings by the Bay series at the Monterey Bay Aquarium. Hurry on over to see your favorite animals while enjoying live music and special programs. 6pm-8pm, 886 Cannery Row, Monterey. Free with aquarium admission. Witness a duet performance from Philip Glass and kora player Foday Musa Sosa tonight at the Sunset Center in Carmel-by-the-Sea. Philip Glass will hold a Q&A session at 7pm before the performance. 8pm, San Carlos at Ninth Avenue, Carmel-by-the-Sea. $50-$75. Fernwood Tavern is gearing up for an Intergalactic Dance Party tonight! A range of danceable musical acts perform including ESP, UFO 2012, Mollusk Sound, Little Wings and more. 9pm, 47200 Highway One, Big Sur. Free event. James Henry and the Hand on Fire play live jazz today out at Big Sur River Inn. Pull up a chair in the river and grab a drink for the ultimate in relaxation! 1pm-4pm, 46840 Highway One Big Sur. Free event. Come on out for the last night of Evenings by the Bay. 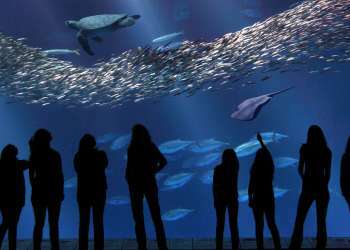 The Monterey Bay Aquarium is open late with all of the same great attractions and live music. 6pm-8pm, 886 Cannery Row, Monterey. Free with aquarium admission. The weekend is not yet over, thanks to Labor Day! Stay up passed your bedtime tonight and catch Birdhouse and the North Pacific String Band at Fernwood Tavern in Big Sur. 9pm, 47200 Highway One, Big Sur. Free event.